Having been an early Adam Richman enthusiast (I spent most of the fallout of the 2010 eruption of Eyjafjallajökull stuck in Jamaica, watching Man vs Food and rubbing aloe gel on my completely brutal sunburn), I was absolutely delighted last year to learn of a new VICELAND show, F**k That’s Delicious. 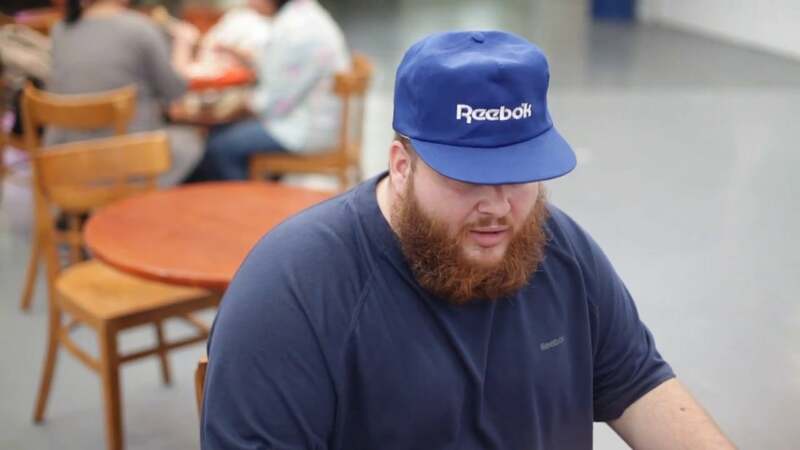 Former chef and rapper Action Bronson travels the world, eating, talking, and hanging out with his bros. It’s edgy Rick Stein for the millennials. Ish. F**k That’s Delicious is part of new multinational TV channel VICELAND’s suite of shows aimed at Gen Y-ers, leveraging the lifestyle and documentary content hosted on the VICE website. In 2006 VICE began expanding into digital video, launching a new video service as a joint venture with MTV Networks. The documentaries on the channel feature unusual, often taboo subjects, and were hosted by young people – often who worked at VICE. Pre-launch, Smith pushed the issue of youth media and the lack of programming for the word’s youth, stating that VICELAND would bring a fresh energy and new type of broadcasting. Ahead of the launch in September 2016, VICE wanted to learn how millennials, the core demographic VICELAND would aim to appeal to, watched and engaged with TV show content. Working with Brandwatch, VICE made use of social data to research and evaluate the reaction to the launch of the channel in the US earlier in the year. The findings of this research would be used to inform the tone and content of the marketing plan for the UK launch, potentially impacting editorial strategy, and could be used by commercial teams in conversations with advertisers. While VICE has an established editorial strategy, launching a new TV channel was always going to be a different proposition. How do its current audience interact with TV? Do they watch live TV or video on demand? Do VICE readers have a dual-screening habit? What kind of programs did they watch? Data from Twitter, analyzed by Brandwatch, allowed VICE to answer these questions and build a strategy. The Brandwatch research services team worked with VICE to create a brief that met the key objectives. This approach would provide VICE with the most streamlined and actionable report possible. Any similarities/differences between the conversations of existing audiences and the millennial targets would be the source of actionable insight for shaping marketing/content strategy and potentially some editorial content. By using social data, we were able to identify characteristics of a VICE UK reader, and potential viewers of VICELAND. The report also identified the TV channels these people watched and discussed online. As well as these, we were able to build a picture of what hashtags these viewers use (included in the full Case Study, download here) and analyze the online conversation around VICELAND programmes overall, pre-launch of VICELAND and post-launch (also in the Case Study!). Another key part of the research was highlighting what hosts were able to influence high volumes of mentions online. Ellen Page, Michael K Williams and Action Bronson are just some of the key influencers within the TV scheduling. Overall the research report identified insightful audience analysis for VICE. You can download the full case study below. It’s delicious. Understanding the viewing habits of a millennial TV audience.